Hi. 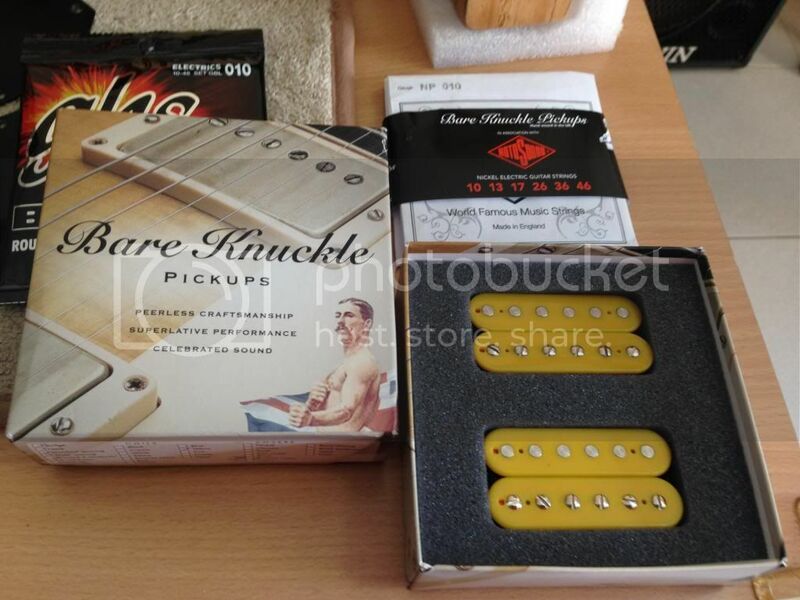 Kindly post your bare knuckle pickups here. You may also give your comments and reviews of the BKPs you have tried for the guidance of interested forumers. Comparisons with other pickup brands are also welcome. wow. how timely, I'm considering BKPs for a build I'm planning. Hi Bro. I got all my BKPs from Micsis/Edgie. Ask kuya mike and he'll hook you up. I think he is working on a project tele now and plans to put BKPs on them too. Good luck. Thanks. hey thanks, will ask MicSis and/or Edgie. are we talking about the same Edgie who owns the green Jazzmaster that Mike built? Emil, siya nga yun. Edgie is the man. Saka po diba may choices kung ceramic or alnico? Alin mas maganda sa 2? Thanks. I loved Poundcake's VHII set in his Suhr guitar. Heard it when he visited Micsis one time. My Holy Diver is hotter pero okay din. AFAIK, the ceramic variant is a bit hotter compared to the alnicos. 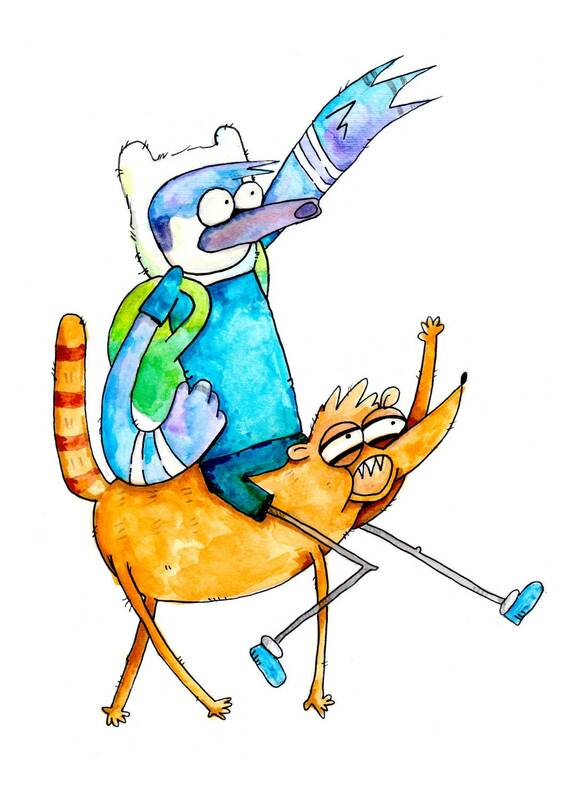 BKP has a facebook page if you want to see the color and cover options. Anung price range ng mga HBs sir? 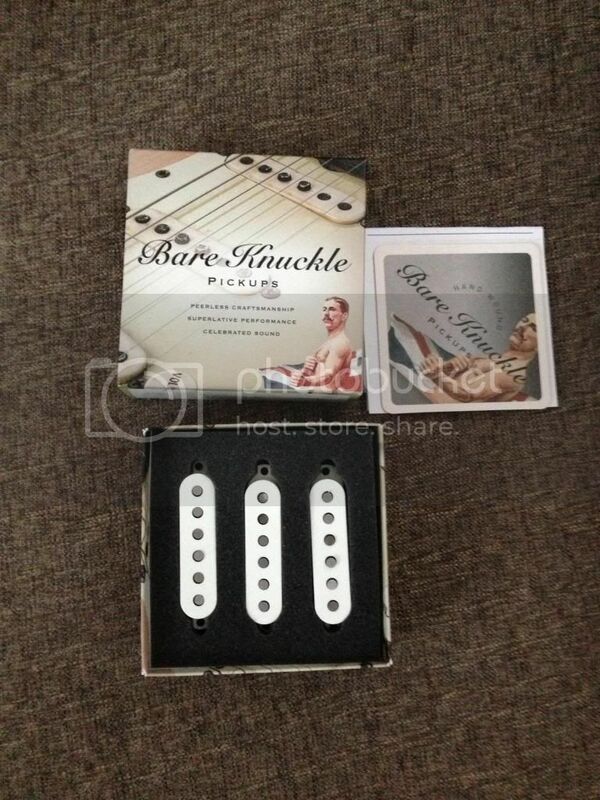 Around 15k ang alam kong bnew price ng HB pair ng Bareknuckle. The stock virtual pafs were good, but not for this guitar. 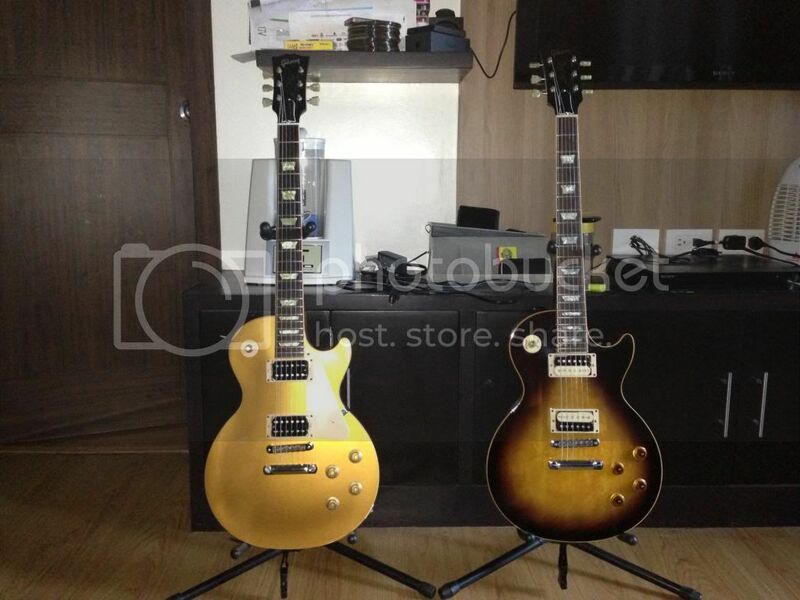 I felt that they would be more suited to a Gibson scale and make guitar. The beef of the Crawlers made the silo fatter and more balanced. Unbelievably clear and punchy, I can't understand how they do it. Harmonics are richer and the guitar feels easier to play. The split sounds are crazy too, beautifully chimey. And the mids... Yum. I don't think I ever want to use another brand ever again! And yes, edgie is the man! was part of this club once. until i sold my 6 string with an aftermath at the bridge. My experience with BKP's started with a used Apache set that I put in an Edwards SRV relic strat(Alder body, rosewood board). It's a lot better than the stock Duncan SSL-1 neck and mid/SSL-5 bridge combo in that guitar. I had that guitar for 3+ years and I played from blues-rock to modern rock(e.g. 311's Down, Incubus' Nice to Know You and Anti-gravity Love Song, RHCP, etc) on it. 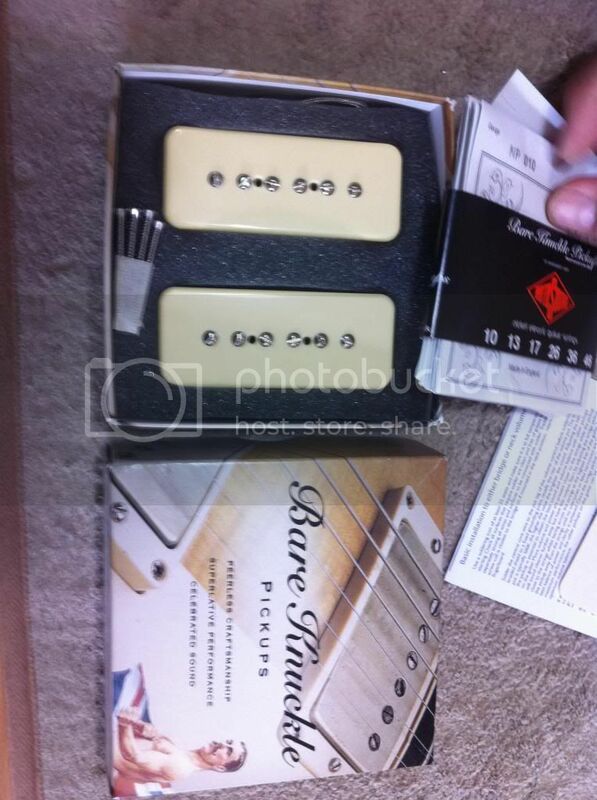 It's my favorite BKP strat pickups set. 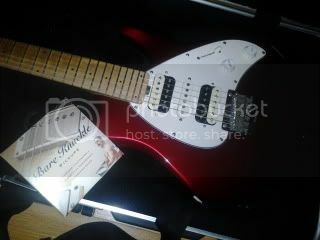 I also had an Esquire-type guitar done by Mike Sison loaded with BKP Flat 50's. I like it too but I'd say it's more like a punchy humbucker to my ears than a twangy Tele since it's a Broadcaster-voiced pu. I had a PRS SC250 with a Mule Set with BKP Jentsen Caps. It's several more steps from the stock PRS pickups and gave the guitar more volume and tone control range. The stock PRS pickups(a common PRS weakness) are not good with in-between volumes. I sold that guitar as I realize I really can't get the Les Paul sound in my head with it and I used the cash to fund my Tyler. The last one I had before I sold the Edwards Strat was a set of BKP Patent Pending '63 Veneer board. It has thumpier/crisper bass than the Apaches(boomier, warmer) and the treble strings are slightly thinner or wiry. I have also tried the Mother's Milk in a friend's Strat which is middier and darker than either the Apaches and 63's but the output is still vintage-level. been using Bareknuckles for a few years now. I have 6 string sets for Nailbomb, Aftermath and Mississippi Queen. My decibel 7 string currently has a set of Juggernaut pups in it. More power bro Edgie. Love to order VHIIs soon. I was supposed to get the rebel yell pero kala ko more of pang set neck sya. Pero maganda nga yon. I'll think abut it. Magkano price nya ngayon, Edgie? TY. It seems people with basswood-bodied guitars benefit from those humbuckers that has some added mids on them to make the sound fatter. Pinaghahalo rin nila yung alnico sa neck(for clarity and definition) then ceramic sa bridge(for power and chunkiness). Hindi ko pa narinig in person yung mga nabanggit mo. Wow, very interesting choices specially the MQ and the Juggernaut. I just read the specs of the Juggernaut now and it's really a one of a kind combination of magnets and wires. How do you find it? the MQ is currently in an SG that I use for slide, it has a nice P90 type sound that really cuts through. I've dug the aftermath a lot since I got it and it is in a custom ESP viper right now. The Jugg is similar to the Aftermath I think but with less treble tone and more of the mids so the overall tone -at least on my guitar -is rounder, fatter and it works nice for leads and tapping. I like the aftermath on mahogany and basswood guitars because it lets the warmth cut through and adds a bite on top of it. i bought it straight from BK and they have always been really good about my purchases and requests. Tim will answer emails if you have any and when I had covers done for my Aftermath and Jugg, Tim delivered.